Hook: Use KWL chart to track down what a student knows (K), wants to know (W) about the structure and function of a human heart. It will be a diagnostic assessment that will enable a teacher to connect student's prior knowledge to the future concepts. This activity will be a formative assessment FOR learning. Action: Through this animation and article, students learn about different parts and functions of a heart. 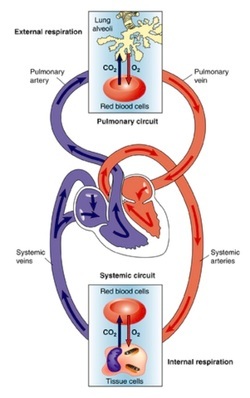 It visually explains the various parts of the heart, what happens during a heartbeat, as well as what makes the heart pump. Utilizing text, images, voice narration, and 3D animation, the students increases their understanding of how the heart works in their body. Visual presentation can follow class discussion. Student responses will enable the teacher to report on student's level of understanding. Following article can be used to create a jigsaw group activity. Debrief: By looking at the "What I Learned" section, teachers can assess students' level of understanding. It will also provide an opportunity to deal with any misconceptions.